Usage/Application: Best to be Used as a Corporate Gift. Brass Apple Watch nickle plated, we are one of customized corporate gift's suppliers. 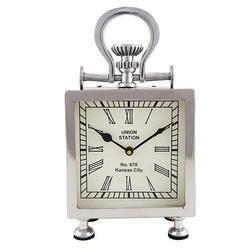 In this age of modern era, this Table Watch W/O Stand enhances the décor of your house. Just add a stunning wall clock to your wall and watch the wall transform into a beautiful piece of art. 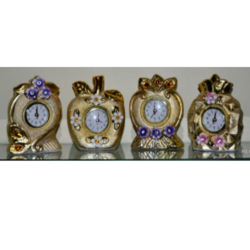 Height:-4" , Base:- 3" Clock Dia:-2"
Paper weights are an essential item for any office and even for households in order to protect the papers from scattering due to wind & With elegant designs and superior craftsmanship no wonder these nautical clocks are highly in demand.